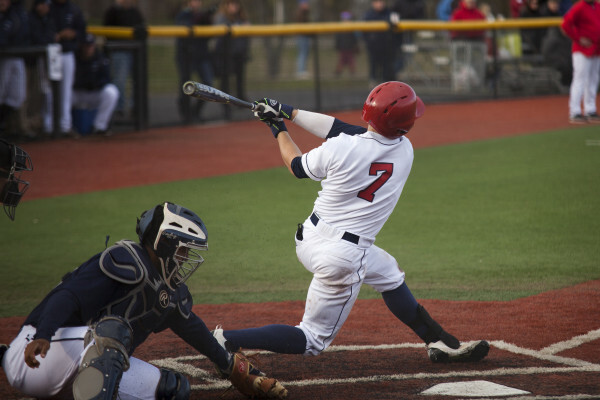 For the sixth time in the last seven years, Stony Brook Baseball was represented in the MLB Amateur Draft, which concluded Saturday. The New York Yankees selected starting pitcher Tyler Honahan, a 2016 Stony Brook graduate, and the Houston Astros drafted outfielder Toby Handley, who would be a senior next season. When the Yankees chose Honahan in the 36th round of 2016 MLB Draft, the left-handed pitcher became the first Stony Brook player to ever be selected by the 27-time World Series champion Yankees. Honahan’s next step is to fly down to the Yankee’s facility in Tampa Bay to take a physical examination and sign his contract. Though not official, Honahan said he believes he will play for the Staten Island Yankees, a single-A affiliate in the New York-Penn League. Honahan finished his collegiate career with the fifth-most wins and the seventh-most strikeouts since the team moved to Division I in 1999. Though he struggled for the first few months of the 2016 season, he had 21 strikeouts in his last three starts with the Seawolves, allowing just one run. The Yankees took notice. Shortly before Honahan was drafted, Handley was selected by the Houston Astros in the 33rd round of the draft. Handley had batting averages of .330 and .288 in his last two seasons with the Seawolves. The outfielder stole 12 bases in each of his three years with the team, succeeding at an 85 percent rate. His diving plays in the outfield became a routine event at Joe Nathan Field during his time there. Handley was unable to be reached for comment. However, if Handley chooses to sign and forgo his senior season at Stony Brook, he will be sent to play for the Greenville Astros of the Appalachian League, but it is a decision still to be made. According to NCAA rules, playing professional baseball this summer would nullify Handley’s amateur status and make him ineligible to participate in college athletics. Honahan and Handley, along with the six other Stony Brook alumni currently in the minor leagues, will now look to reach the MLB, something that only four former Seawolves have done.